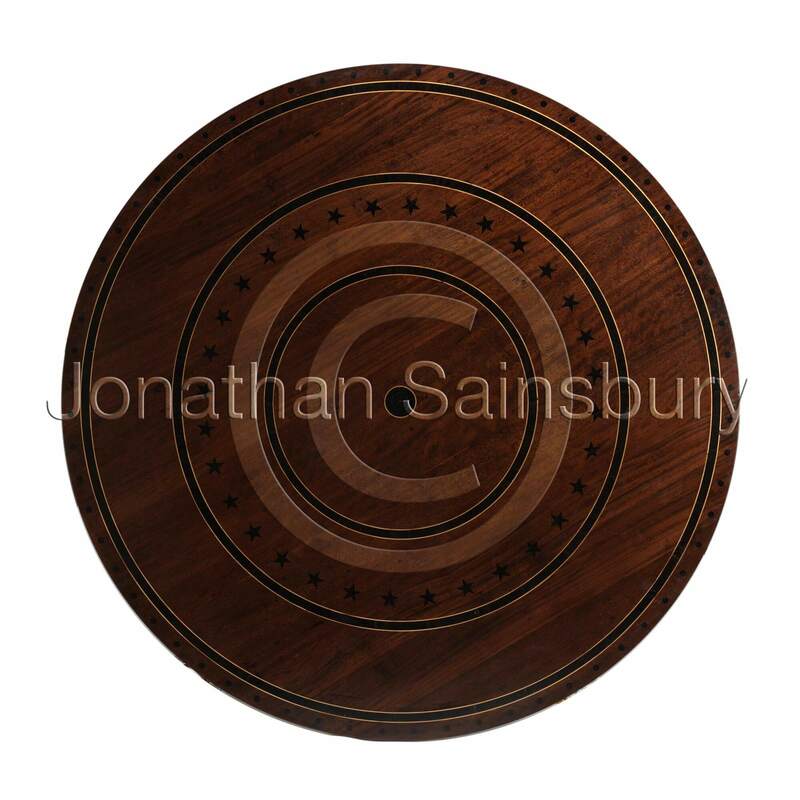 A circular dining table of large proportions in the style of Thomas Hope. The table, which is constructed entirely from early 19th century timbers, was commissioned for a country house in Devon. The 72 inch diameter table top has inlaid ebony stars and brass lines and the edge is inset with a brass band and paterae. 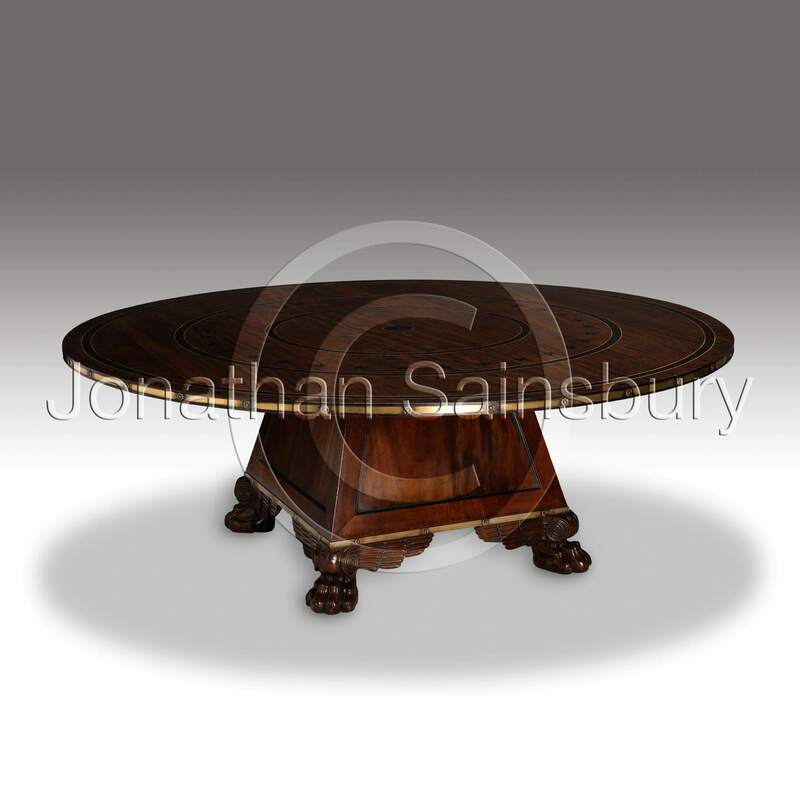 The base is of pyramidal form and rests upon Regency Grand Tour inspired winged claw feet. Finished in aged polish.